Susie's Reviews and Giveaways: Enter to Win a $30 Amazon Gift Card from Gululu! 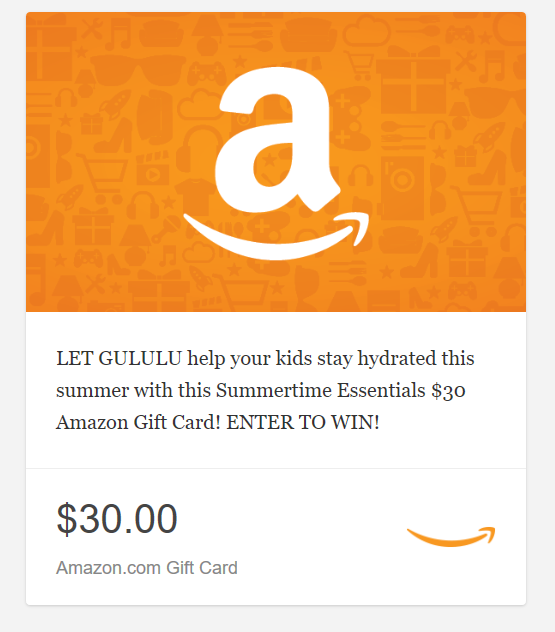 Enter to Win a $30 Amazon Gift Card from Gululu! It's no secret that most children need an incentive to remember to drink when they are busy playing at the park, swimming at the beach, and hanging out with friends. Sometimes we choose to give our kids drinks that are high in sugar and not as healthy as we would like in an effort to get them to drink, when we could be doing something radically different -- like giving our child a Gululu interactive water bottle instead! Gululu helps to remind your child to drink more water through a tamagucci-like pet that grows when children drink! Parents can be sure it is working by tracking progress on the app! Learn more below! bring awareness to your child's summer hydration needs! The fun Gululu bottle features a pet- tamagucci like that grows and goes through underwater adventures as the kid drink. The pets in Gululu motivate kids to develop healthy habits on their own. 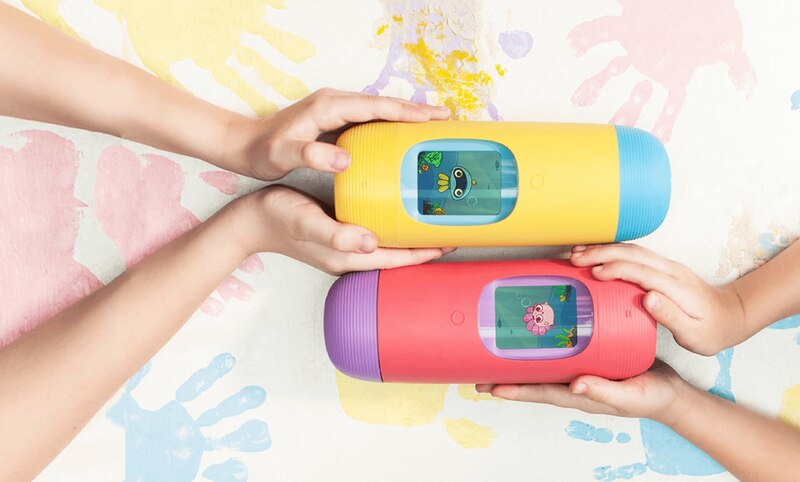 When your child drinks from Gululu Interactive Bottle, the pet grows happier and evolves. This constant interaction both entertains and encourages beneficial habit formation. Gululu has been featured on all main media publication like Forbes, Vogue and others.- and parents love it! Gululu has made it their mission to help kids all around the world be healthier and stay hydrated! 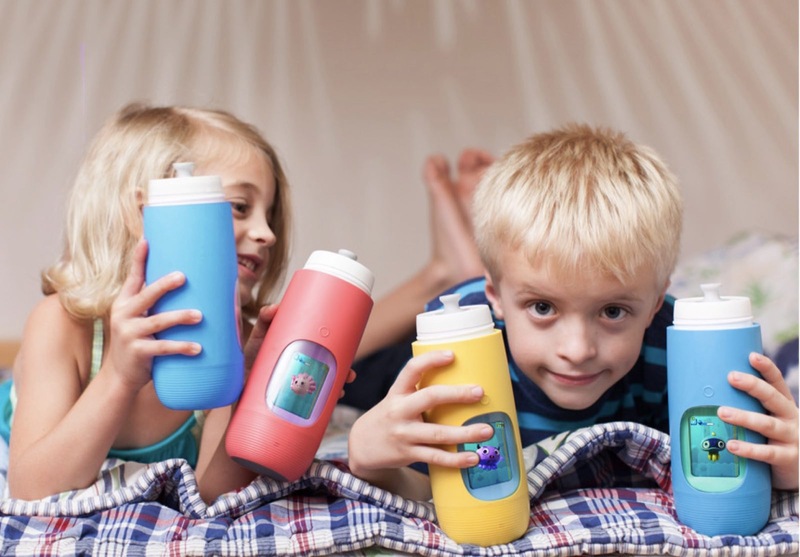 Their interactive bottle keeps kids hydrated through a pet that encourage them to drink and has an app that shows the parents exactly their kids intake. With each and every purchase of Gululu, a child in a developing country is provided clean drinking water, for life. In addition to their great mission to keep kids hydrated, for every bottle purchased, they donate to build clean drinking water wells for kids in developing countries through their partnership with Generosity.org Learn more about how water = life HERE. Mommy’s Playbook Giveaway Rules: This giveaway is Sponsored by Gululu and hosted by Mommy’s Playbook. Winner will receive a $30 Amazon Gift Card! Use the gift card for whatever you like OR towards your Gululu purchase! Victoria and/or Mommy’s Playbook are not responsible for prize fulfillment. Please contact Victoria (at) MommysPlaybook.com regarding any questions you have pertaining to this giveaway.